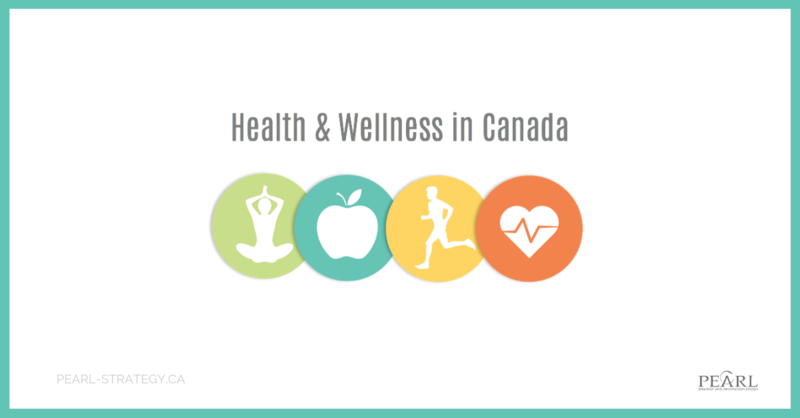 This is the 2nd of a 3 Part blog series that will provide an introduction to our Health & Wellness in Canada study. We hope that you’ll find some insight that will lead to growth opportunities for your business. 1. There is an opportunity to provide health & wellness solutions in the areas of Healthy Eating, Exercise and Visiting a Health Professional. 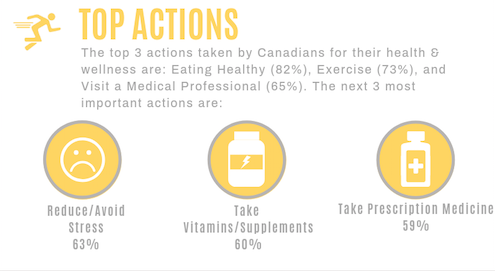 Canadians take a number of important actions to manage their health and wellness. *Eating Healthy, Exercise and Visiting a Health Professional are the top 3 actions taken, with Boomers rating *all top 3 actions higher than the other age segments. 2. There is an opportunity to promote your brand, and create new product/service solutions in the areas of Food, Health Insurance and Mattress and Bedding. 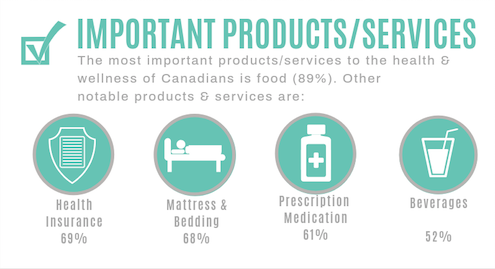 Canadians state there are a number of products and services that help them address their health & wellness needs. Food, Health Insurance and Mattress/Bedding are the top products/services, with Millennials rating Health Insurance higher than other age segments. 3. There is an opportunity to position your brand or new product/service across the top attitudes and behaviours when it comes to food. 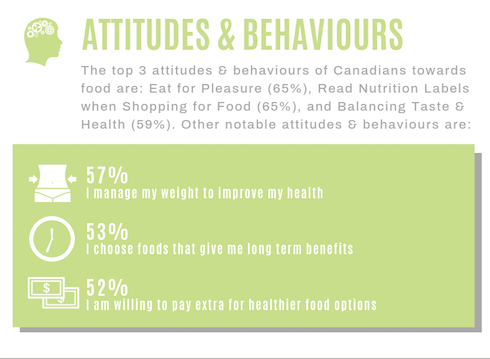 Canadians state there are a number of attitudes and behaviours that they agree with when it comes to their health & wellness. *Reading Food Nutrition Labels, Balancing Taste and Health When Choosing Food, and Managing Weight to Improve their Health are the top rated statements.